Face-lift can significantly improve your looks. It removes excess skin and fat, and lax facial muscle. You can take a face-lift if your skin has obvious signs of ageing. The surgery may be done in older patients as well. When you look in the mirror you don’t like you face. Your face has a worn and tired look and you want to have a face that looks fresh and vibrant and is free of lines, and bags under the eyes. The good news is that face-lift can significantly improve your looks. The modern face-lift techniques have improved considerably in the last few years. In the initial phase face-lift surgeries tightened the skin only, whereas the modern face-lift surgeries remove excess skin and fat, lax facial muscle and excess fat most often present in the lower face and neck. It can improve the look of your lower jaw and jowls, and significantly decrease the deep lines from your nose to the corners of your mouth. 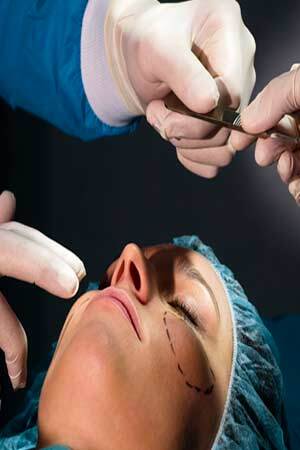 Other procedures that may be done along with face-lift to restore youth and beauty include-laser and other peeling techniques to improve the quality of your skin, and surgery on the forehead, eyelids, or nose. Who's a Candidate for a Face-Lift? You are a good candidate for face-lift surgery if your skin has obvious signs of aging but still has some skin elasticity. This means that your age must be in about 40's to 70's. The surgery may be done in older patients as well. What Is a Weekend Face-Lift? This procedure is becoming increasingly popular and is a minor surgical procedure. It provides mild to moderate improvement in drooping and sagging of skin. The results are not as good as a "real" face-lift, but the recovery time is also much less. It can be considered as an alternative to a regular face-lift depending on what you desire. Does Insurance Cover a Face-Lift? Cosmetic surgeries are not covered by insurance. You will have to arrange funds from your pocket. So before you go for the cosmetic procedure ask your doctor for detailed charges that you will incur for surgery, anesthesia, follow-up care, and any required prescriptions. Find out if your insurance premiums will be affected after you've undergone the cosmetic surgery. Consider your surgeon not only based on lower cost but on expertise and qualification. Your surgeon after a detailed examination of your facial proportions may suggest other minor changes, such as surgery for enhancing the chin or elevating the eyebrows. Other procedure like laser skin resurfacing or chemical peels may be suggested to improve the quality of your skin. He or she will show you the computer generated images of how you will look. This will help you assess your situation. Your surgeon will generally discuss and suggest the type of face-lift would be required. Besides this he or she will take a detailed medical history to know if you have certain conditions like diabetes, and liver or heart diseases which can increase the risk of complications. If you have an emotional or psychological issue talk to your doctor, as they can help you to sort it out. 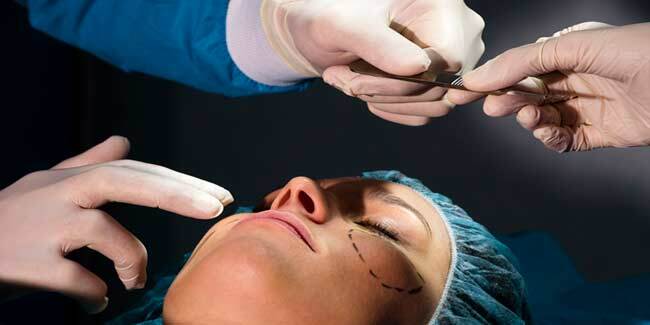 Read more articles on Body Surgeries.